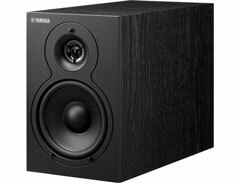 You can easily enjoy Yamaha’s special sound in a compact body. Micro Component System with iPad compatibility. 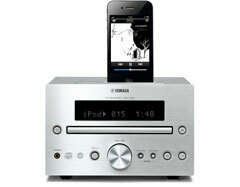 Yamaha took care to design the receiver and speakers to perfectly complement each other. 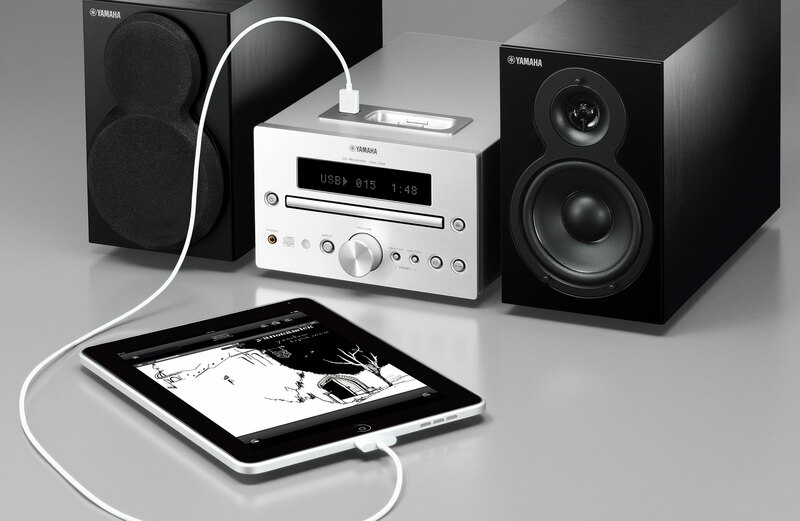 The receiver uses a high efficiency Yamaha digital amp that ensures accurate, lowdistortion sound, which is delivered by new-design speakers. The 2-way bass reflex speakers employ 11cm woofer units and are supported by three legs that prevent external vibrations from affecting the sound. The result is strong bass and rich midrange and treble, so you enjoy high sound quality with good imaging. The receiver features extra-large, screwtype terminals to ensure high quality, reliable connection. 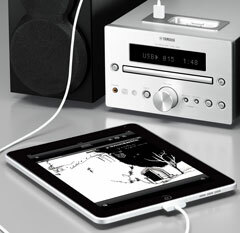 The iPhone/iPod dedicated dock provides a digital connection, which means that the digital signal from the iPhone/iPod is transmitted directly to the receiver. This minimises noise interference and allows use of the MCR-232 DAC, rather than the /iPhone/iPod DAC, resulting in more precise sound reproduction.